But with such a huge variety of free and premium plugins available, it’s certainly not easy to figure out essential plugins. Below is a list of top 10 most popular WordPress plugins – that have been chosen based on their usefulness and popularity. You can’t overstate the fact that WordPress is one of the best platform for SEO. 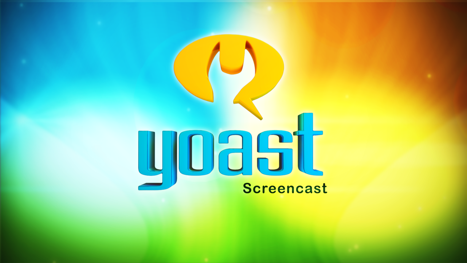 However, if you want to make your site more search engine optimized, you can use the WordPress SEO plugin by Yoast. Using this plugin won’t necessarily help you acquire top ranking instantly, but will certainly help to make you understand the factors that can impact your site’s search results. And once you have a tightening grip of all the factors, it should be easier a job for you to work upon them. Contact form is one of the most important pages of your site, as it helps customers to get in touch with you. But,WordPress does not contain a built-in contact form, however you can choose to have Contact Form 7 plugin to integrate a form in your site. With 16 million downloads, Contact Form 7 is be far the most popular plugin available today. It helps to manage multiple contact forms and customize them. Spam can break any website, particularly in terms of its search engine rankings since Google does not waste a lot of time penalizing websites that contain a lot of spam. And that’s where Akismet steps in. Akismet is a great plugin that helps to keep a track on your website’s comments, in order to see if it’s brimming with spam comments or not. As and when it catches some spam comments within the WP admin screen, it will let you review them. Sitemap is one of the most essential elements that helps search engine spider to view the complete structure of your site easily and helps them to index your site in a better way. Google XML Sitemap is a remarkably useful plugin, when it comes to generating XML sitemap for your WordPress site, as it help your posts as well as pages get indexed by the major search engines like Google, Bing etc. 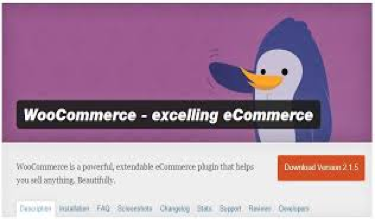 If you want to turn your WordPress site into a complete e-commerce store, then WooCommerce – excelling eCommerce is the ideal plugin you should use. With this plugin you can build a beautiful e-store that sells anything. If you want to track your single or multi-site WordPress installation, and keep your Google Analytics tool up-to-date with latest features, then Google Analytics by Yoast can help in getting the job done for you. Website performance is a crucial factor that determine it’s success. Even though, you have built and designed a great site, if it loads slowly your visitors will not take more than a few seconds to abandon it. Now, creating PSD to responsive WordPress theme that is built for good speed is the untimate solution and puts you on a strong footing. But in the otherwise case, some speed enhancing tool would come handy. W3 Total Cache is a highly popular caching plugins that boost the speed of your WordPress site, and optimizes your site. If you wish to embed features in your self-hosted WordPress site that were only available to WordPress.com users, then you can choose Jetpack to jazz-up your website with some powerful features including email subscriptions, comment system for social networking and a lot more. One of the major concern of most of the WordPress site is related to preventing their site from getting hacked. And the concerns are purely genuine since there have been so many instances of website hacking from since the dawn of time! 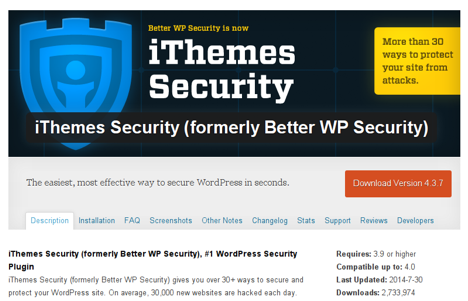 Better WP Security is touted as the best security plugin, however the name of the plugin has changed to iThemes Security. The plugin offers more than 30 different ways to protect your site. In addition, it also helps to search for vulnerabilities and even let your recover lost data (as it helps to create backups of your WordPress database). Sharing content on social media platforms is one of the most-recommended exercise today. And Floating Social is the right plugin that allows WP users to share your content on social media no effortlessly. When you are running a website that has contributions from several authors and industry experts, you would want a separate space for the author’s bio. This way, the respective authors are also encouraged when they have 2-3 lines written about them (and written by them, by the way). Starbox is a perfect plugin that lets you add the author bio right at the bottom of the post. You can also add links to their personal blogs or to even their social media accounts so that they gain a wider and more precise visibility on the Internet. Webmasters employ all sorts of techniques to reduce the bounce rate on their websites. They promote their content among their relevant audience, improve website’s speed, prevent spam, get rid of pop ups and so on. But one of the clever ways of reducing the bounce rate by making the visitors read more than one post is often overlooked. And this is exactly where the Yet Another Related Posts Plugin (YARPP) proves to be extremely useful. This plugin, with its flexible set of features let you display those posts under certain posts that have either the same keywords, or belong to the same category. The posts appear under a different head at the bottom of the page like “you may also read”. To conclude, if you want to make improvements in your WordPress site, by adding additional features and functionalities, you can refer to the above discussed list of top 10 plugins that you must watch out for in 2014. About the author of this guest post: Ben Wilson has over more than half decade of experience in WorPress theme coding. He has redeveloped many websites into responsive. He is presently Working for WordPrax Ltd.– a leading WordPress development Company. Thanks for recommending the useful plugins here. 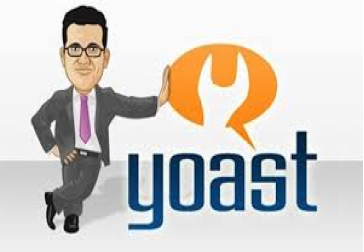 I’m not in favor of much plugins but when it comes to SEO then WordPress SEO by Yoast is my first choice. This plugin is imply awesome and helps the bloggers to optimize their website without much efforts. Contact form 7 is awesome when it comes to create elegant contact forms. 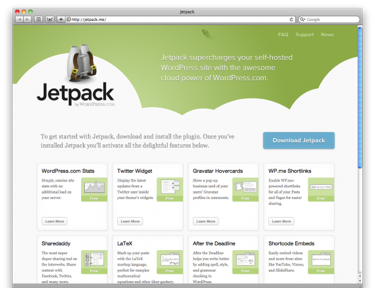 JetPack in my opinion is whole bunch of plugins. It’s related post feature is good. It comes with 36+ modules. For caching my choice is WP Super Cahce. Overall all plugins are useful. NICE BLOG….!!! !THANKS FOR SHARING THE INFORMATION ABOUT PLUG-IN…iF AGAIN YOU HAVE SHARED INFORMATION LIKE THEN PLEASE INFORM ME….. Thanks for sharing the information about Plug-in it will helps me a lot to design my new Project.